The pace of life slows down considerably – and the odours of cut grass and frangipani blooms replace the smell of exhaust fumes – when you duck into the city’s Botanical Gardens, accessed by a gate at the far eastern end of Le Duan, and bounded to the east by the Thi Nghe Channel. 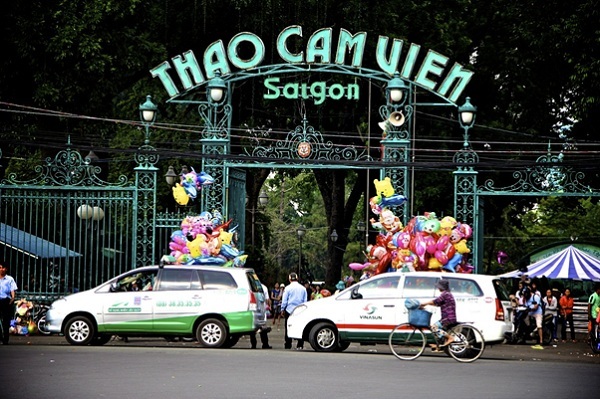 The construction of Ho Chi Minh City Zoo and Botanical Garden started in March of 1864, covering an area of 20 ha, and it was inaugurated at the end of 1865. Its founder and first director was J.B. Louis Pierre, a famous French botanist at that time. 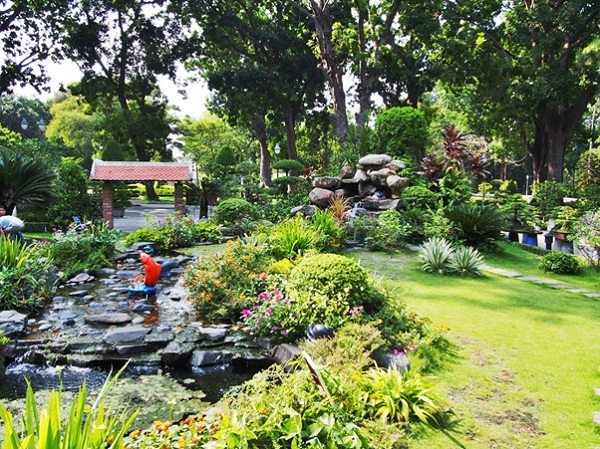 The Botanical Gardens has a vast array of flora and fauna including 20 different orchid types, 32 species of cactus and 34 species of bonsai in addition to trees, plants and ferns some of which are as old as the gardens. The zoo exhibits a diverse range of animals including monkeys, tigers, hippos, lions, elephants; turtles and snakes. There are also rarer animals such as the white tiger that are being displayed for the first time ever in Vietnam. The zoo aims to help animal conservation of endangered species through a breeding-in-captivity program and recently bred the crested argus pheasant – being the only zoo in the world to do so. Currently thousands of plants are grown in the Botanical Garden, including species from Africa and America. The Botanical Garden has over 1,830 trees of 260 rare and valuable species, many of which are over 100 years old. The zoo is home to big cats, slithering reptiles and everything in between. 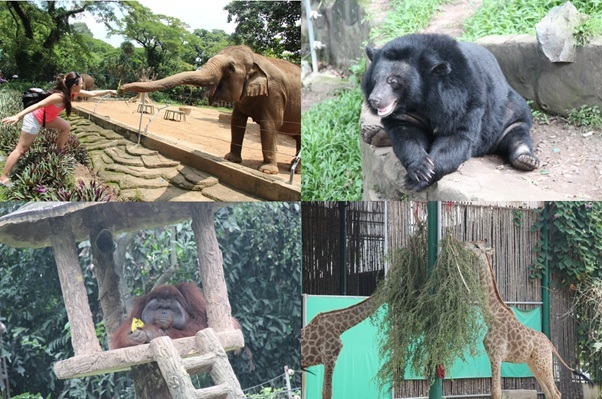 Creatures from nearly every continent are represented, however, be aware that some of the zoo’s facilities are not well maintained. Stop by the monkey enclosure and the bird aviary, which are two of the zoo’s most popular exhibits. Head to the northwest corner of the zoo and relax with a picnic on the grass under the shady trees. In this area, you can also feed giraffes and take the kids to the small amusement park.